“I never thought that a small lump would turn out to be so dangerous for my brother. For the past few months, he has not been able to walk because of deadly tumors in his nervous system. It was so painful to see his legs gradually losing all movement. His life is no longer the way it used to be. He can neither move, nor can lie down for long,” Ashis, Debasish’s brother. Debasish was preparing for his board exams this year. Being the youngest in the family, his parents and brother have never let their extreme poverty affect him. Debasish has a rare disease called neurofibromatosis, a condition in which tumors grow in the nervous system. As a result of this, he has become completely paralysed. This has even made his back C-shaped. As their parents are old and weak, Ashis is the only person who is able to care for his brother now. 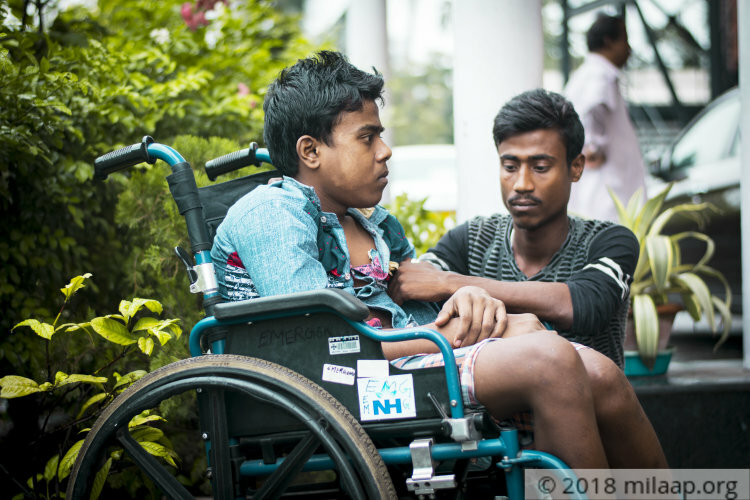 Initially, he used to take Debashish on his bike to places, but with his deteriorating health, he can no longer ride a bike. Every time they have to go to the hospital, Ashis is forced to spend Rs 1000. Ashis has knocked every door in his neighborhood to seek help. 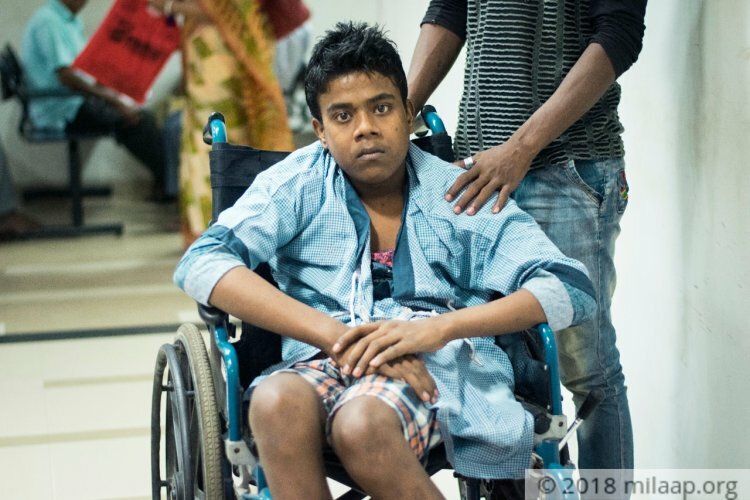 He has even asked his employer to help them with funds for Debasish's’ treatment, but he’s hardly received any help. 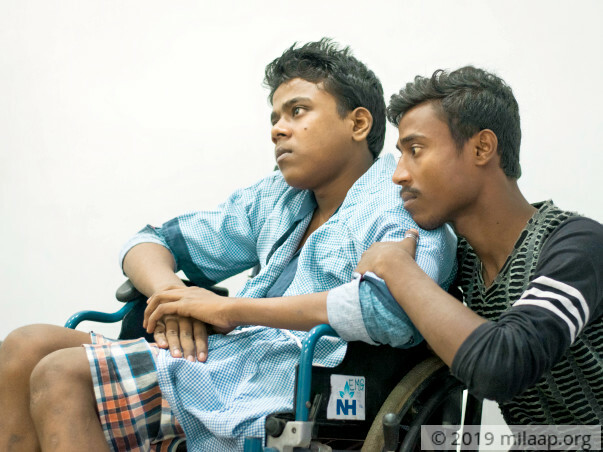 Debasish is running out of time and soon there will be no way to help him. 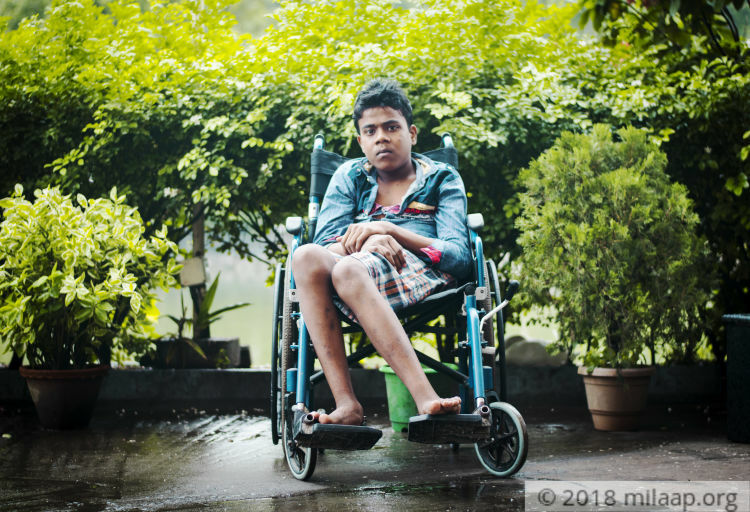 17-year-old Debasish has tumors in the nervous system. It has left his back bent and his legs paralyzed. He needs an urgent surgery to get rid of this condition. His family is already in debt and despite trying hard, they are barely finding a way to save him. 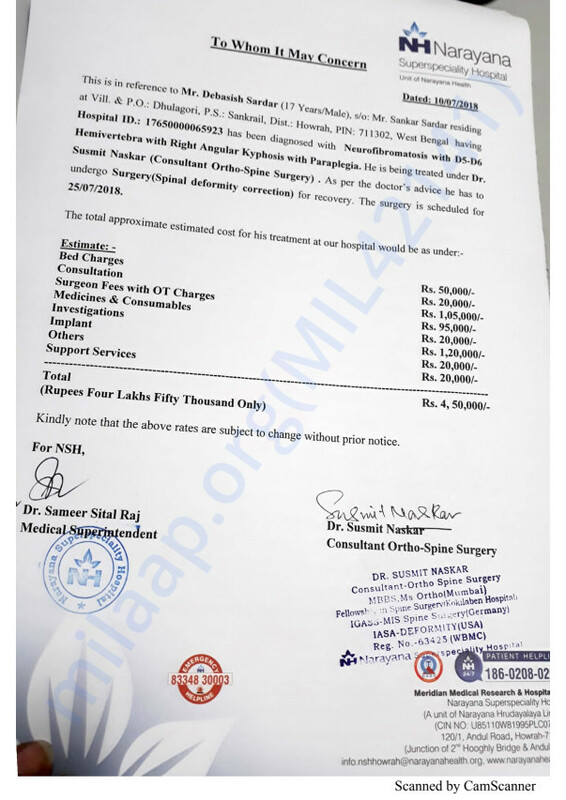 The cost required to save him now is Rs 4.5 lakhs, that is way out of their reach. Thank you for your support. The family appreciates the support you have shown towards Debashish so far. We would like to inform you that Debashish underwent his surgery on 24th and is recovering well. He is expected to get discharged in 2-3 days. We will keep you posted.